Giovanni’s offers hard working and motivated individuals the opportunity to achieve the American Dream by owning their own business. We offer a turn-key business with the lowest fees in the industry and have a record of proven success over the last 50 years. Giovanni’s brand strength and reputation for serving the highest quality food combined with our extensive experience in the highly competitive pizza industry, as well as access to our extensive line of signature food products provide our franchisees with a distinct advantage over the competition/ Our reputation for providing great food and producing successful franchisees who are involved in their communities are absolutely key to Giovanni’s outperforming the competition time and time again. Our founder, Jim Lemaster’s greatest legacy was not the success he created for himself or his family, but the opportunity and assistance he was able to provide others who shared his dream of owning their own business. He took great pride in helping others achieve individual success, and was directly involved in working with families to grow Giovanni’s to now have over 100 stores throughout 6 states. His belief in working with great people to provide great food to communities the owners were part of is a big reason why Giovanni’s has become ‘The Italian Place to Be!’ for over 50 years. Turn-key business that You Own with the lowest fees in the industry! For a more detailed view of our current market area, check the Locations page for our current franchise locations. 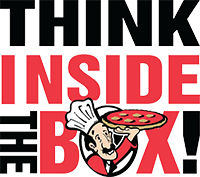 Choosing a location that has all the features for your new franchise to be a success. Designing the inside layout of your building. Purchasing the needed equipment and supplies. Training of both you and your employees. Establishing operational procedures that will keep your business running profitably and efficiently. Giving you complete access to Giovanni’s signature food products as well as showing you how to prepare them. 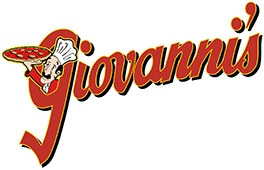 Giovanni’s Pizza continues to use the same delicious recipes that were so popular long ago. We continue to grow at a steady pace and our franchises stay strong due to the great food and wonderful people that continue to operate all of our individually owned locations today.